It looks like Samsung has just given us a sneak peek on the mobile industry for the year 2015. 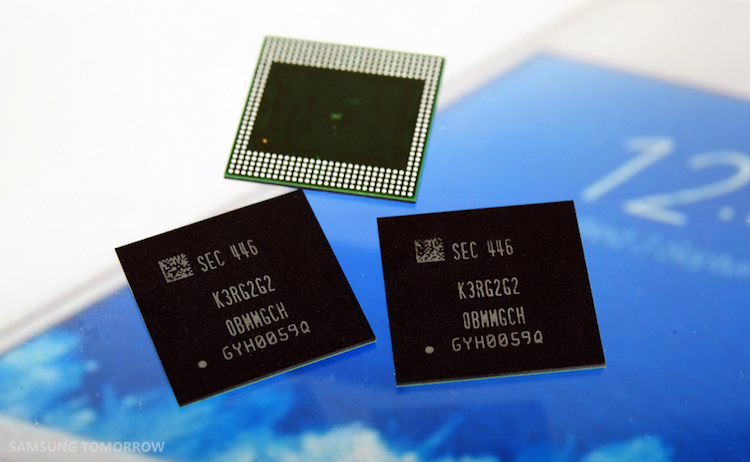 The company just announced that they have started the mass production of the “industry’s first 8 gigabit low-power double data rate (LPDDR4) mobile DRAM” that is based on the company’s leading-edge 20nm processing technology. 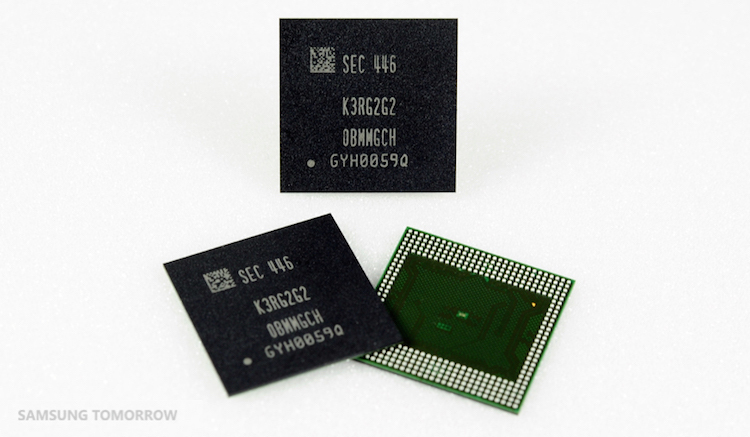 The new LPDDR4 mobile DRAM will be available in 2GB, 3GB and 4GB packages. The new 8Gb LPDDR4 mobile RAM not only allows for an ultra-fast performance and a new level of mobile responsiveness, it is also a lot more energy efficient than before – according to Samsung, its LPDDR4 chips are 50% faster than LPDDR3 chips in the market and consumers 50% less power at 1.1 volts. In the announcement posted on Samsung Tomorrow’s website, the Korean company also mentioned that with this, they are “contributing to the timely launch of UHD, large-screen flagship mobile devices” – are they indirectly confirming that the rumour about the Samsung Galaxy Note 5 using a 4K display is true? “By initiating production of the 20nm 8Gb LPDDR4, which is even faster than the DRAM for PCs and servers, and consumes much less energy, we are contributing to the timely launch of UHD, large-screen flagship mobile devices.” – Joo Sun Choi, Executive Vice President of Memory Sales andMarketing at Samsung Electronics. Samsung started providing 2GB LPDDR4 and 3GB LPDDR$ DRAM packages this month based on 8Gb and 6Gb LPDDR4 dies respectively, and will provide 4GB LPDDR4 packages in early 2015. Alright now, raise your hands if you’re looking for a mobile phone with a whopping 4K display and 4GB of RAM.